What lies amidst Ladakh’s magnificent snow covered peaks and the cold desert is a land of the enchanting Buddhist culture, glorified by the celebration of the colourful festivals in Ladakh. 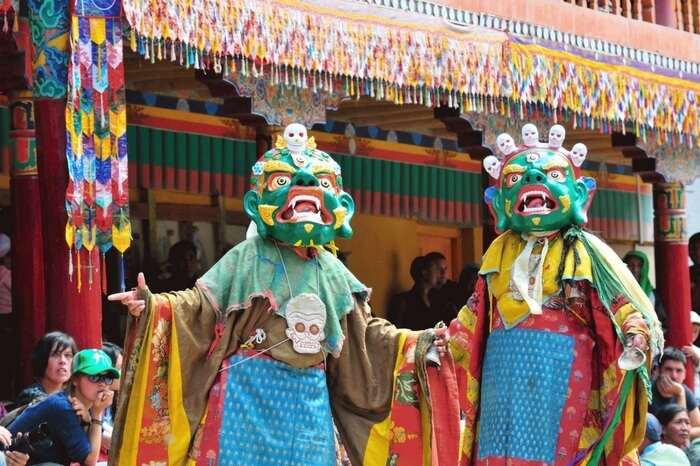 Adorned with fearless masks, garlands of Buddhist flags and colorful robes, these festivals in Ladakh keep the traditional heritage and culture alive. Celebrated across Leh-Ladakh for 15 days between the months of January and March, Losar marks the beginning of the new year and is considered to be the most important festival of the region. It is a medley of cultural events and rituals with lavish offerings and blaring music. The key attractions of the festival include stage fights between the good and evil and the ibex deer dance. It is a three-day festival celebrated in June on the banks of the Indus River at Shey Manla. Known for its vibrancy, it pays homage to the river which is a symbol of harmony and unity. Also, is a proud salute to the brave Indian soldiers for standing tall for the country. Reciting of prayers marks the beginning of the other two days, spectator witness the various music and dance performances by the locals which makes this festival an enriching experience. 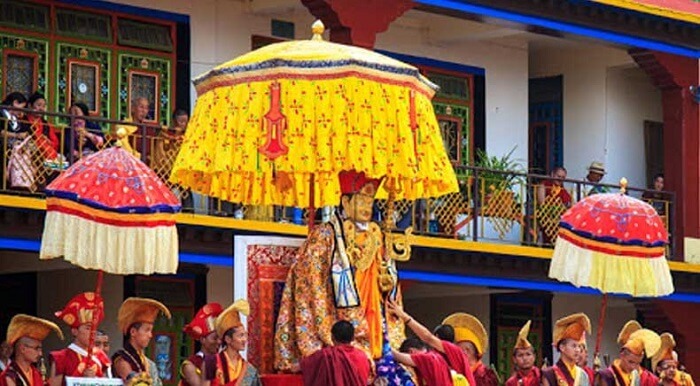 This festival commemorates the birth of Guru Padmasambhava and is celebrated at the Hemis Monastery which is one of the largest and most famous monastery, located 45 kms from Leh. 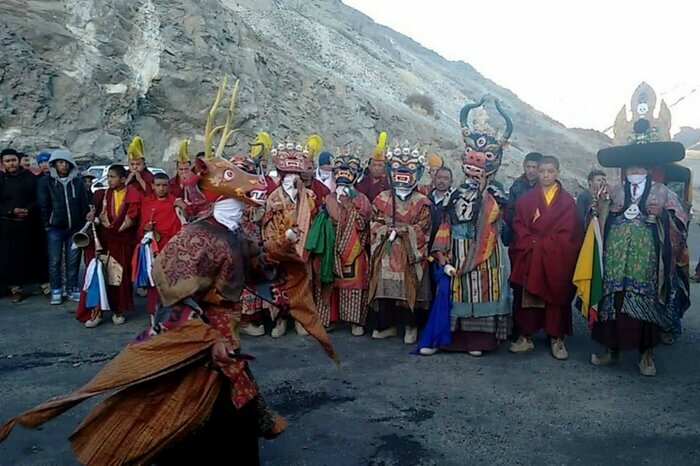 It is held in June and featuring mask dances by lamas, Hemis Tse Chu ends with sacrificial offering on the last day. 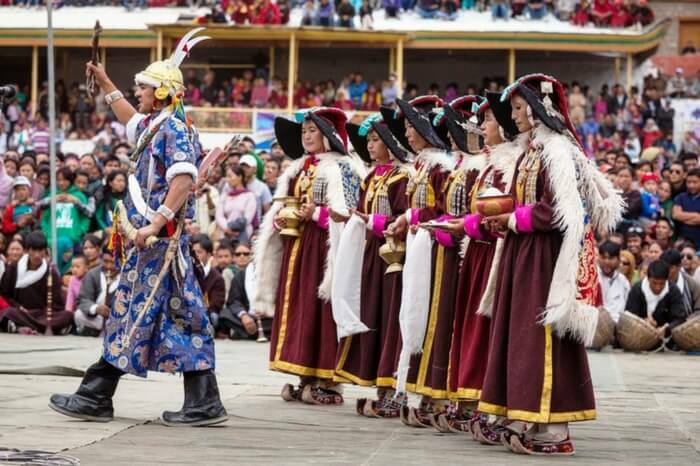 Stretching over almost two weeks in the month of September, the Ladakh festival showcases an array of impressive dances, musicals, cultural events from all over the region making it one of the most popular festival in Ladakh. Right from the famous ‘lion and yak dancing’ to archery, polo contest, delicious dining and tasting the intoxicating barley beer -- There is everything for you to have a great time. 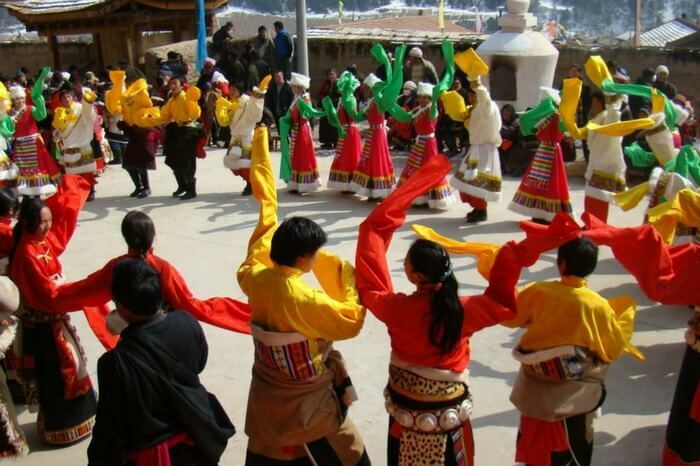 This festival is a great opportunity to experience the deep rooted traditional diversities of Ladakh. It is a prominent festival representative of the holiest and most sacred days in Buddhism- The birth, enlightenment and death of Buddha. During Saka Dawa, lamas continue chanting Om Mani Padme Hum which not only reminds us of the teachings of Buddha, but also imbibes high spirits and cheerfulness. 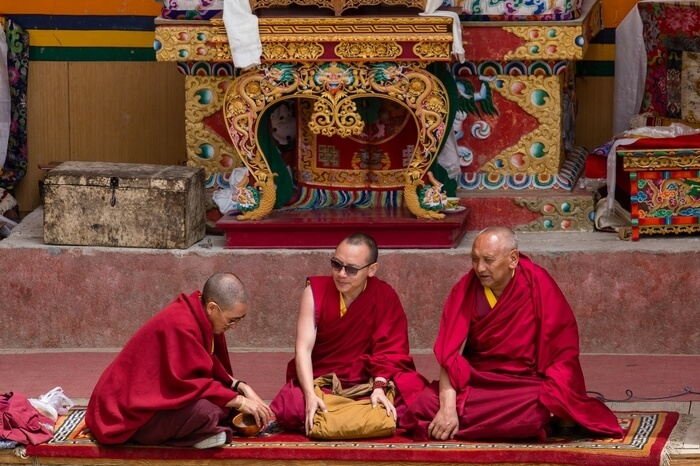 In the month of June or July, the Lamayuru Monastery of Ladakh hosts the Yuru Kabyat festival with great enthusiasm for two days. People from China, Japan, and Bhutan participate in this festival too, further enhancing it’s cultural significance. The key attractions include a drama-dance knows as Chhama, performed in circles by the colorful dressed lamas on drum beats. Gustor is transliterated as sacrificing the 29th and is a celebration of good over evil. It is held simultaneously for two days in several monasteries, reinstilling the fact that all bad things come to an end. The key highlights of the entire festival is the traditional mask dance by the Black Hat dancers and the ritualistic demolition of the sacrificial cake, also known as Torma. Explore the breathtaking landscapes and immerse in the vibrant festivals in Ladakh blessed abundantly with warmth and joy. What are all things to consider while planning a bike trip to Leh-Ladakh? Which bike is best for a Leh Ladakh road trip? 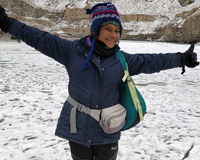 Eco-Tourism as sustainable tourism in Ladakh , Go2Ladakh initiate and appeal to visitors to help keep Leh green save our Himalayan & Glaciers. Bucket-List Material: Ladakh 10 Best Restaurants! How to Plan Your First Ladakh Trip?